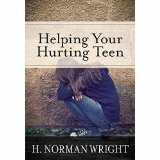 H. Norman Wright Is your teen withdrawing, acting unusual, sullen or distracted? Do you feel like you just don't know you child anymore? Are you afraid it's more than just a stage? Expert Dr. Norm Wright gives insight on how to reconnect with your child, understand their struggle, and never lose hope.